After two years, Rapid Bucharest returned into the European Competitions and will play against Slask Wroclaw, a double game that will mark the 98th and the 99th matches of the Romanian squad in European competitions. It all started in 1938 at Budapest, when Rapid lost 1-4 with Ujpest in the first tour of the Mitropa Cup. 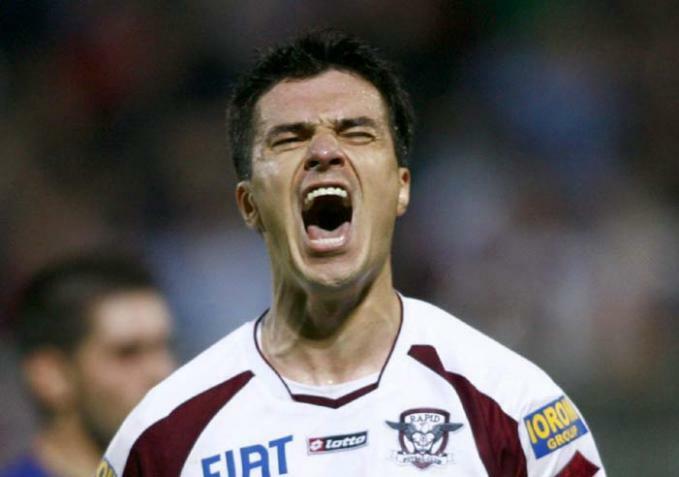 Rapid’s only goal was scored in the 83rd minute, by Ladislau Raffinsky, when the opponents had already 3-0. It seemed like it was only a consolation goal but it proved to count more than everybody imagine, because in the second leg, Rapid would won 4-0! On “Giulești” pitch, in front of 15.000 people, at half time the teams where level. The madness started in the 62nd minute, when Alexandru Cuedan opened the score. Ioachim Moldoveanu doubled it only seven minutes later and in the last ten minutes Ștefan Auer and Ionică Bogdan brought the first ever victory for Rapid in European competitions and more important, the first ever qualification. Rapid would lose eventually at Genoa, 3-0, in the next tour, but at home they kept their honor with a 2-1 win. They left the competition, but Baratky and Cuedan brought a bit of joy to 15.000 fans. 27 years past until Rapid would play again in the continental competitions. A few months after they won their first official Romanian title, Rapid played in the first tour of the European Champions Cup. Like a déjà vu, they were beaten at Plovdiv by Trakia, with 2-0. But also as a déjà vu Rapid came back at home, won 3-0 and qualify to play the great Juventus. 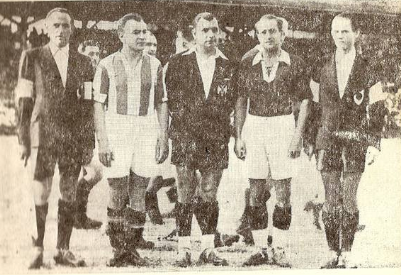 Teofil Codreanu scored the first two and Puiu Ionescu gave the final shot in extra time, for the delight of 40.000 people that crowded the “23 August” Stadium. In the next phase, the situation would be different, because the team from Turin was a better side and even if the won only 1-0 at home, Rapid did not manage to come back. An honorable 0-0 on “Republicii” pitch was watched by only few more than 5.500 people, an assistance that was very small for those days. In the next year, Rapid met their first drama in Europe. Playing in the Inter-Cities Fairs Cup against OFK Beograd didn’t seem to tough, especially when you win 3-1 at home (Neagu x 2 and Năsturescu), but in Jugoslavia things got incredible. The hosts had 3-0 after just few than 15 minutes. Codreanu scored to save his team and pushed the match into extra time. Here, OFK gave in another three goals so there was Rapid losing badly, 1-6. But a new top finishing in the table, permit them to qualify for another year in the same competition. 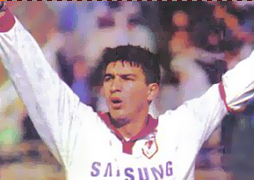 It was the third season in a row that Rapid was starting in the European Cups. Sadly, that end up being the worst in those years of Rapid’s history. The 1-3 loss at Setubal, against Vitoria wasn’t as bad as it proved to be the loss from the home match. Sandu Neagu scored a goal in Portugal and Marin Stelian did the same thing on the “23 August” stadium. But the 70.000 Rapid fans that joined the second leg of this dispute where shocked as the Portuguese left the pitch with a crushing 4-1 victory. After a year of break, Rapid reentered into the continental competitions with a 1-0 loss at Naples, as Culae Lupescu scored an own goal. It was the first year of the new founded UEFA Cup so Rapid had to push through for a better start. And did secure a 2-0 win on the same “23 August” arena, in front of 36.000 spectators, thanks to Ion Bumitru and Daniel Ene’s goals. Only 15.000 would want to see the team that Rapid had to face in the next tour, Legia Varșovia. But those where lucky, because they witnessed one of Rapid’s most convincing all-time victories in Europe. A 4-0 secured by two doubles: one from Sandu Neagu and one from Daniel Ene. Tottenham Hotspur was the name of Rapid’s next opponent. Unfortunately, the team from Bucharest didn’t stand a chance in England, where they lost 3-0, but even so, 25.000 crowded Rapid’s home pitch to watch the team from London. And only the team from London it was, because The Magpies obtained another win, this time with “only” 2-0. The next year, it was the Cup Winners Cup and this time the name of their first enemy was Landskrona, a quite modest Swedish team. Rapid players respected themselves and secured qualification from the home match, after a 3-0 victory, brought by Marin Stelian with two goals and Năsturescu that scored a piece. In Scandinavia Rapid would eventually lose 1-0, but it wasn’t important anymore. Really important was the next opponent that had the same name: Rapid. But the Rapid from Wien, the only team outside Germany that managed to win once the Bundesliga! 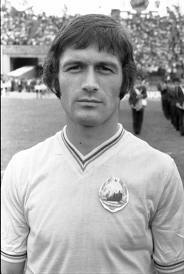 Even though the Austrians opened the score really quick, Sandu Neagu managed to put it in for a tie that proved decisive as Rapid Bucharest did won 3-1 at home and became the first team from Bucharest to qualify in the quarter finals of a European Cup. An own goal and after that Alexandru Boc and Marian Petreanu were the heroes of Giulești. But in the last eight another powerful English team appeared in front of Rapid’s dreams: Leeds United. Too strong for the Romanians, Leeds put in five goals that meant one of Rapid’s most crushing defeats ever in an official game. Still, 30.000 fans came to see the second leg on “Republicii”, but the Englishmen would win again, this time with 3-1, as at that scored Rică Răducanu, the goalkeeper of Rapid, beg the opposite strikers to not score any more! Rapid only did it once in the 59 minute, thanks to Dumitru Dumitriu. Next, Rapid will face Anderlecht in the 1975-1976 of the Cup Winners’ Cup and after that would not participate in the continental games for almost two decades. In front of 25.000 supporters Rapid won the first leg with Anderlecht, because of an own goal, but would not qualify after they lost 2-0 at Bruxelles. They came back in the history books since 1993, but then where only put out from the first tour of the UEFA Cup, when Inter Milan beat them in both legs at two goals difference. In the away match the difference was that Rapid managed to score a goal by Alexandru Andrași, but that had no value as Bergkamp put in a hat-trick. In the 1994-1995 season things got a bit better. First, because Rapid played against the modest FC Valletta, which they’ve beat 6-2 in the away game (Chebac, Vlădoiu x2, Chiriță, Țâră, Voinea), but only drew 1-1 at home, with an equalizer scored by the same Țâră. After that, 20.000 came on “Giulești” to see Charleroi from Belgium that would leave the pitch defeated by their favourites. 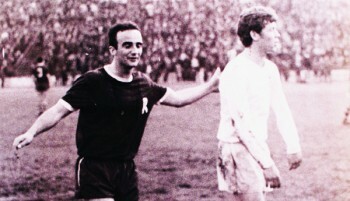 The 2-0 was secured by Iulian Chiriță and Ion Vlădoiu, and the only away goal was Fane Țâră’s moment. Rapid could have one that match as well but to goals concieded in the last two minutes brought Charleroi a consolation victory. Still, a dream was growing for Rapid as in the next stage two goals from Andrași and Voinea permit the team to come back from a 1-0 lead by Frankfurt and secure a 2-1 victory. But that dream did not last too long because in the second leg, the Germans put in five goals, humiliating Rapid and leave them outside Europe. Growing the custom to play in continental games once a two years, Rapid came back in 1996. On “Giulești” only 11.000 people came to see Lokomotiv Sofia, but they left pleased, as Simion Mironaș brought victory for Rapid. 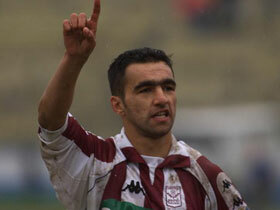 The 1-0 score was the same in second leg, at Sofia, where Gheorghe Butoiu put it in when the time almost passed. Another encounter with a German side would come and this time it was Karlsruhe. Rapid won again at home, in front of 18.000 spectators, thanks to an own goal scored in the 67th minute, but would eventually lose qualification after a 1-4 defeat in Germany. There, at half time it was 0-0, but after that, in little more than 20 minutes, the table showed 3-0 for the hosts. Iulian Chiriță’s goal from the 70th minute brought some hopes, but for only eight minutes, before the German where scoring again for the final time. 1997-1998 was a season in which Rapid played in the European competitions only because they took start in the UEFA Intertoto Cup. In a group stage with four other teams, only the first finisher was about to go away playing in the top stages of the competition. Rapid started well with 4-2 at Odra Wodizlaw, score that was even 4-0 for the Romanians until late in the game. 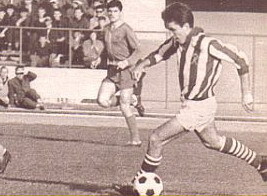 First an own goal, then a double from Mario Bugeanu and a last goal from Bogdan Andone brought Rapid the necessary boost to beat Zilina as well in the next encounter.In front of 8.000 supporters from Giulești, Rapid won 2-0, with a goal scored in the first minute by Zeno Bundea and a second one put in by Florin Constantinovici. Narcis Mohora managed at Viena the same performance to score in the first minute, but Rapid would not win the game against Austria, as the same Mohora scored in his own goal in the last part of the match. But seven points where very good and if Rapid had beat Lyon would go through. Only 6.000 people came to see the team from French, that wasn’t at that time the powerful squad from our days, but those became happy when Butoiu opened the score just before half break. The things wouldn’t remain that way, because Nanu and Mohora where sent off and Lyon took advantage and scored twice in the last ten minutes, the first one being put in by the future Champion’s League winner, Ludovic Giuly. The following year, Rapid gain a place in the Cup Winners’ Cup and after marching in the first round when they beat Grevenmacher with an aggregate of 8-2 (Sabău, Pancu, Dulca, Stanciu, Lupu, Mutică and respectively two by Pancu in the home leg), Valerenga was their next challenge. 0-0 in Oslo and Rapid became favourite. But on Giulești things got a bit different, because only 10.000 people came to see the show, with two thousand fewer that came to watch Grevenmacher! Rapid started well the second half and in the 52nd minute, Șumudică scored, but just a minute later Carew put Valerenga level. Yes, that famous Norway striker that made career in Premier League. And so he would score another goal in the last minutes that put Rapid out of the competition, because it ended 2-2 (Bundea scored the second for the Romanians). In 1999 Rapid became official champions for the second time in their history but the first participation in the UEFA Champions’ League was a total failure, because Rapid was eliminated from the first tour by anonymous Latvian team, Skonto Riga. It was 3-3 at home after Chaladze twice and Astafjevs put their team in front every time. Barbu, Schumacher and Mutică brought Rapid an important point if we judge by the evolution of the match. In the second leg the Romanians were those who came first in front thanks to Narcis Răducan in the 33rd minute, but that goal wasn’t so important in the end, as Skonto came from behind and won 2-1 in the last 13 minutes. After that incredible worst performance, Rapid regained their respect the following season when they put out Mika from Armenia with an 3-1 on aggregate. The things where settled from the home match, when Iencsi, Măldărășanu and Nae Constantin brought up a forfeit score. Next, Rapid wouldn’t stand a chance, as Liverpool came in their way, the future champion of that years’ UEFA Cup. 0-1 on Giulești, followed by a stunning 0-0 on Anfield, made Rapid the first ever and only Romanian team which did not concede a goal on Liverpool’s pitch. And so did Rapid retain the tradition in the 2001-2002, when they were also put out of Europe quickly, but by a big name. First, they break a personal record and crushed in the first tour Atlantas Klaipeda from Lituania (4-0 and 8-0). 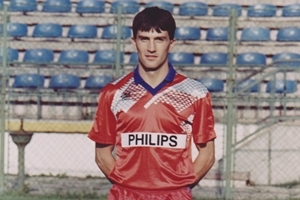 On the scoring sheet many players wrote their names: Schumacher twice, Pancu, Niță three times, Șumudică three times, Bogdanovic twice and even Florin Bratu. But in the next stage a more powerful team was expecting Rapid: PSG. After a great 0-0 in the away match, Rapid maintained the same score on Giulești and extra time was needed. Aloisio scored in the 93rd minute, but after other 20 minutes the floodlights shut down and the match was abandoned. Even though UEFA decided that the team should be played in the second day, the Frenchmen refused and eventually the continental organization concluded that the Romanians were guilty and awarded a 3-0 win to PSG. A tough score comparing to the evolution of Rapid. This episode did not brought long term problems for Rapid as they will succed in the next year to crush with a 5-1 on aggregate the Slovenian team, NK Gorica. There were two victories at two goals margin and the heroes’ name was Constantin Schumacher, who scored four of the goals. The other one was Emmanuel Godfroids’ only piece in the European Competitions for Rapid. The name of the next opponent was much lighter than the ones from previous seasons: Vitesse Arnhem. Despite not concieding a single goal on Anfield or Parc des Princes, Rapid received one from Bob Peeters. Eventually, it proved a good shot, as the Romanians equalized in the second minute of stoppage time, thanks to Adrian Iencsi. The 1-1 away score looked like an certain advantage, but the same Big Bob recovered the handicap and Rapid lost another qualification in the superior stages. And the crisis continued in the next year, as Rapid was only held 0-0 at home by Anderlecht, in the first leg of the second tour of UEFA Champions League qualifying rounds. After 45 minutes of the away match, Mircea Rednics’ boys led with an incredible 2-0, because Ilyeș and Bratu scored just before the break. In the end that had no use, because the Belgian champions came back and qualified after beating 3-2. So, the last victory at home in front of a powerful team lasted from 1996, when Karlsruher lost 0-1 on Giulești. And Rapid did not qualify for the 2004-2005 season of the European Cups. But, once again, they managed to start all over and fulfilled a brilliant road one year after that (check the post ‘2005-2006, a season for the history’). And after such a brilliant achievement it simply could not get any worse. Ok, Rapid didn’t reach the quarter finals of the UEFA in the next season, coming out of the groups quickly, but without losing a game! Only draws, four to be exact. The campaign begun with two victories against Sliema Wanderers, continued with a dramatic qualification against FK Sarajevo and a heroic double in front of Nacional Madeira. First of all a 5-0 against the Maltese team with two goals by Buga, one own goal and one from each Nicolae Grigore and Nae Constantin and than a short away 1-0, secured by the same Buga. Nobody expected that a team that was now Rapid, to lose in Bosnia. But they did in the last minute. But Rapid’s experience became decisive in the second leg and two goals from Buga and Viorel Moldovan avoided extra time and secured a precious break through. With Nacional Madeira, Rapid wasn’t so lucky initially. Winning 1-0 on Giulești (Moldovan), wasn’t enough. Spadacio scored for the Portuguese side and then we had extra time. But this proved to help Rapid gain another three points as Rada and Burdujan beat the opposite keeper. A new superb European road was on its way. In the first group match, PSG was coming to Romania and despite what happened in the previous years, the French weren’t favorites anymore. It didn’t matter in the end, because it ended 0-0. Next, at Tel Aviv, Rapid hadn’t much luck and came back also with a single point. Hapoel was in front twice, but Rapid came level thanks to Buga and Moldovan. But two points weren’t enough and they got to more until the end of the campaign. Obviously they did not help for a qualification but did help Rapid to become the first Romanian team which started a European competition without playing any preliminaries. It happened after a year, when Rapid face Nurnberg from Germany, in the UEFA Cup play-off. Unfortunately the team from Giulești left the competition from its beginnings but still, after two draws: 0-0 and 2-2 (Cesinha, Lazăr), they set a real record, by becoming a team that is eliminated in three consecutive years without losing! What so ever, this record became useless, after Rapid was put out of Europe again from the first round. The 2008-2009 season was the team’s last in the continental games and it ended pretty bad after a 0-1 at Wolfsburg and 1-1 at home with the future German champion. 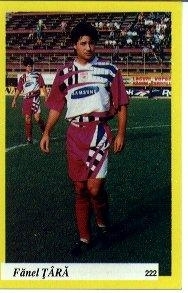 The only strike for Rapid was delivered by Maftei, the team captain at that time. After this episode, two years of sadness struck Rapid, as the squad did not qualify for the European Cups. But they did at the end of the 2010-2011 season, after finishing 4th in the league. The vice-champions, Timișoara, was excluded from the League, and so Rapid came on the 3rd spot. A place that guarantied them that they will play in the Europa League play-off. Their opponent, Slask Wroclaw, had no chances on home field in Poland, and lost 3-1. Grigore, Roman and Apostol brought the first victory for Rapid in Europe in five years! The second round looks like as simple as it can be, but what about the groups? Can Rapid made it once again up to the superior stages of the competition? Let’s wait and see. Until then, we shall say that Rapid played its 98th game in the continental competitions and the 99th is on its way. 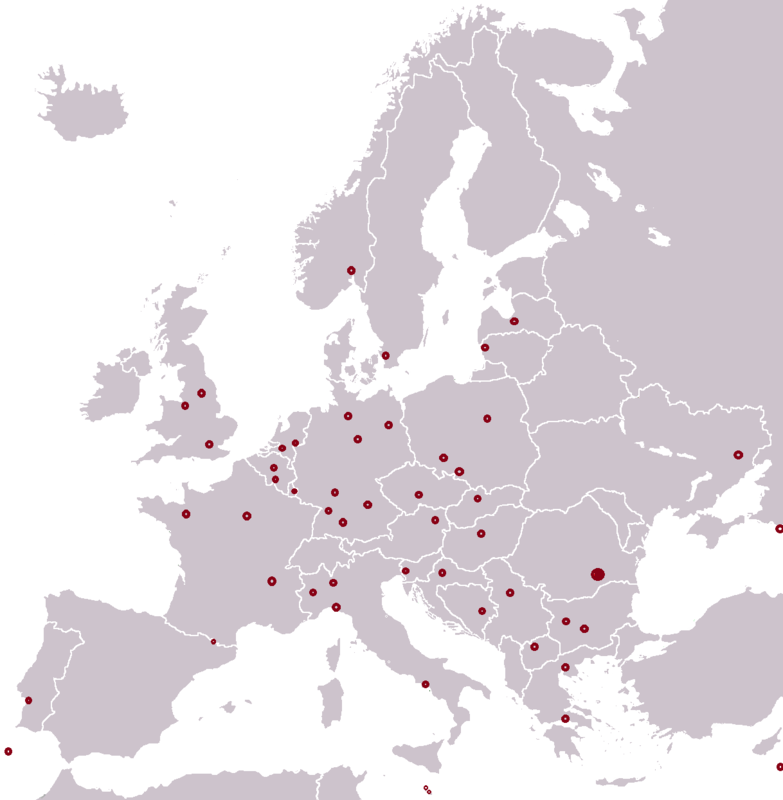 You can also see on this post all Rapid’s goal scorers in Europe and also a map with all the cities which Rapid visited during the time. Acest articol a fost publicat în Rapid Bucureşti și etichetat 0-0, 1-0, 1-1, 2-0, 2-1, 2-2, 3-0, 3-1, 3-3, 4-1, 5-0, 6-1, 6-2, Alexandru Andrași, Anderlecht Bruxelles, Bebe Năsturescu, Charleroi, Constantin Schumacher, Daniel Niculae, Daniel Pancu, Eintrackt Frankfurt, Fane Țâră, Inter Milan, Iulian Chiriță, Juventus Turin, Karllsruhe, Legia Warszaw, Marius Șumudică, Marius Măldărășanu, Mugurel Buga, Nacional Madeira, Naples, Panathinaikos Athens, PSG, Rapid Bucharest, Sandu Neagu, Teofil Codreanu, Tottenham Hotspurs, Valerenga, Viorel Moldovan. Pune un semn de carte cu legătura permanentă.